Synectics: the development of creative capacity is one of the foundational works of the Synectics body of knowledge. First published in 1961, this book is the result of years of experimentation in training creative capacity. With an emphasis on case studies, the book not only identifies the psychological processes involved in creativity but also explores the mechanisms by which creative potential can be methodically released and directed at the solution of specific problems. Synectics theory holds that creative efficiency in people can be markedly increased if they understand the psychological process by which they operate , and that in the creative process the emotional component is more important than the intellectual, the irrational more important than the rational. 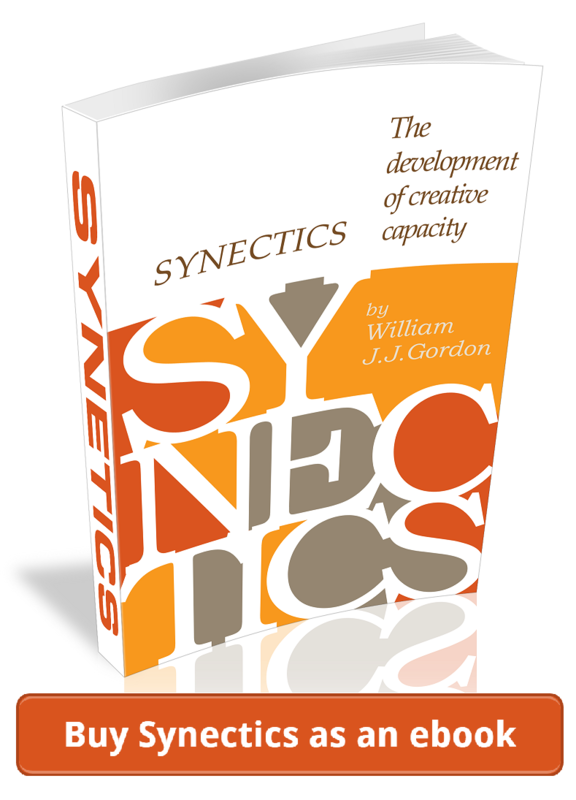 Synectics: the development of creative capacity is finally available as an ebook. Buy it here.